Germany’s centre-left Social Democrats voted Sunday (21 January) to begin formal coalition talks with Chancellor Angela Merkel’s conservatives, bringing Europe’s top economy a step closer to a new government after months of deadlock. At a special party congress in the western city of Bonn, 372 out of 642 delegates (56%) backed SPD chief Martin Schulz’s appeal to approve a preliminary coalition deal painstakingly hammered out with Merkel’s CDU/CSU bloc. A recount was held after an initial show of hands was too close to call for the SPD official in charge of the count and the result was slightly narrower than most analysts expected. The thumbs-up will come as a huge relief to Merkel, staving off the threat of snap polls or the unappealing prospect of leading an unstable minority government. 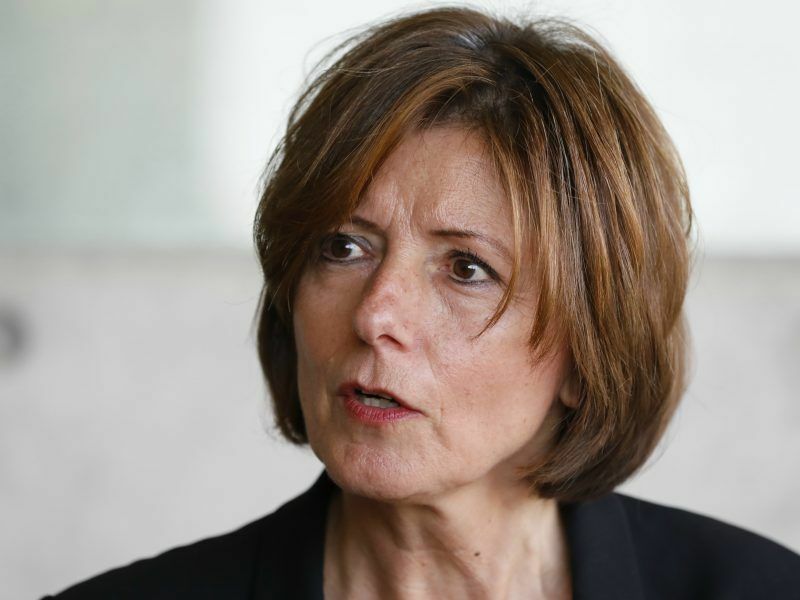 The veteran chancellor, in power for more than 12 years, said she welcomed the SPD’s green light but warned that there were “many issues left to work out”. 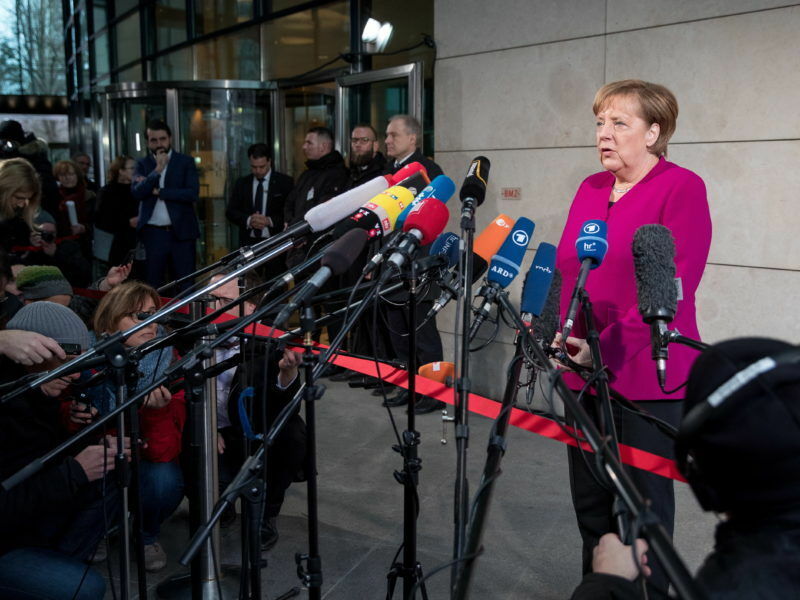 “The blueprint from the exploratory talks is the framework in which we will negotiate and there are still many questions to clear up in detail and that will require intensive talks,” Merkel told reporters. 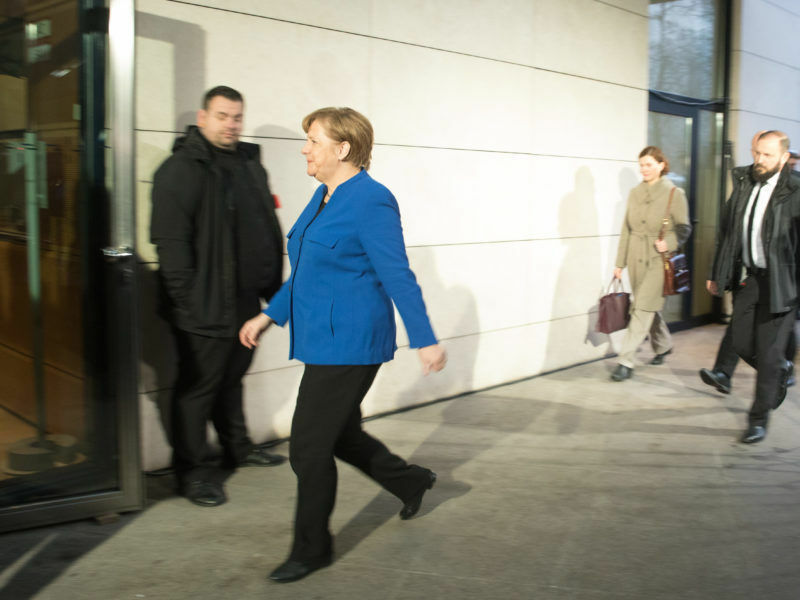 Chancellor Angela Merkel said Germany’s top parties still had “big obstacles” to surmount before reaching a new coalition deal, ahead of a last-ditch round of negotiations yesterday (11 January). The narrow vote victory also means a reprieve for Schulz, who had staked his political future on a “yes” outcome, despite initially rejecting another stint as Merkel’s junior coalition partner. “We are relieved, the result shows that we had to fight for this majority,” Schulz said. The vote, which was closely watched in Germany and abroad, paves the way for negotiators to launch in-depth talks that should lead to an official coalition agreement in several weeks. Merkel said the first meetings on how to organise those talks would start Monday. But another make-or-break hurdle looms before she can clinch a fourth term, as Schulz has pledged to give the SPD’s 440,000 rank-and-file party members the final say on any formal coalition “contract”. If the deal is approved, a new government could be in place by mid-March at the earliest –nearly six months after September’s tricky election. Leading members of Germany’s Social Democrats said on Sunday (14 January) they would press for improvements to a coalition blueprint agreed with Chancellor Angela Merkel’s conservatives, seeking to win over sceptical party members who can torpedo the deal. Sunday’s breakthrough is likely to be welcomed in capitals across Europe, eager to see an end to a political impasse in a pivotal member state that has left key EU policy decisions on hold. 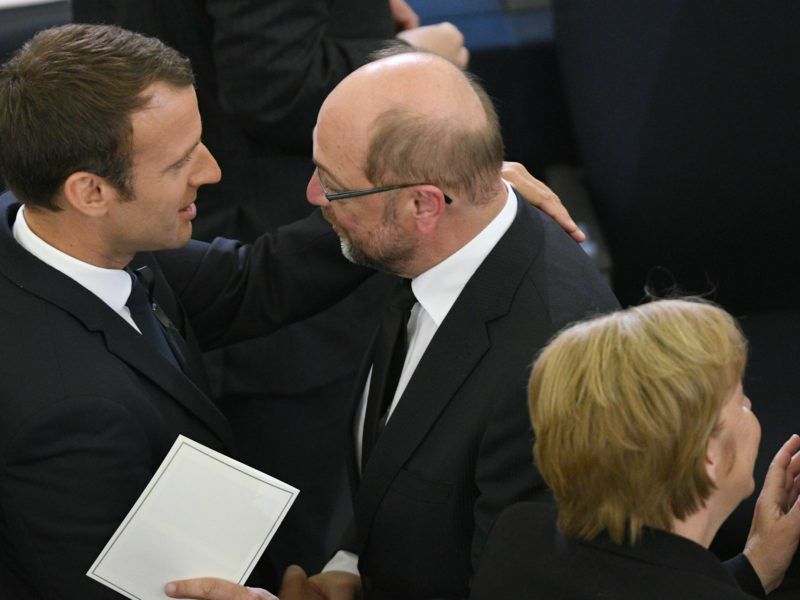 French President Emmanuel Macron has been openly rooting for a repeat grand alliance in Berlin given the enthusiasm among the pro-EU SPD for his EU reform plans, including his more ambitious proposals to install a eurozone budget and finance minister. Macron “is waiting for a partner,” Schulz said in an impassioned speech to delegates ahead of the vote. He urged the SPD to seize the chance to help drive deeper EU integration and counter the rise of right-wing populists across the continent. “Only a strong and united SPD can make our country and Europe stronger,” he said. 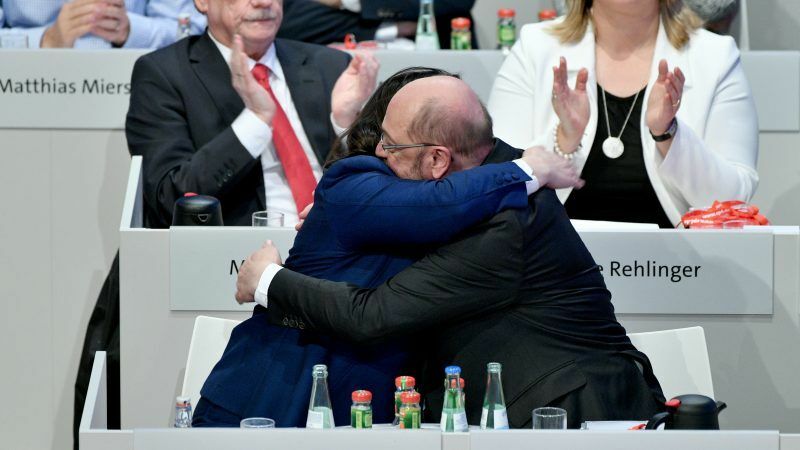 The European Commission hailed the SPD’s “yes” vote, with EU Economic Affairs Commissioner Pierre Moscovici praising the “sense of responsibility” shown by the Social Democrats. French President Emmanuel Macron’s EU reform ideas are a central issue between CDU, CSU and SPD while discussing European affairs in the German coalition talks. For Macron, the outcome might be of crucial importance for realising his plans. EURACTIV Germany’s media partner “Der Tagesspiegel” reports. 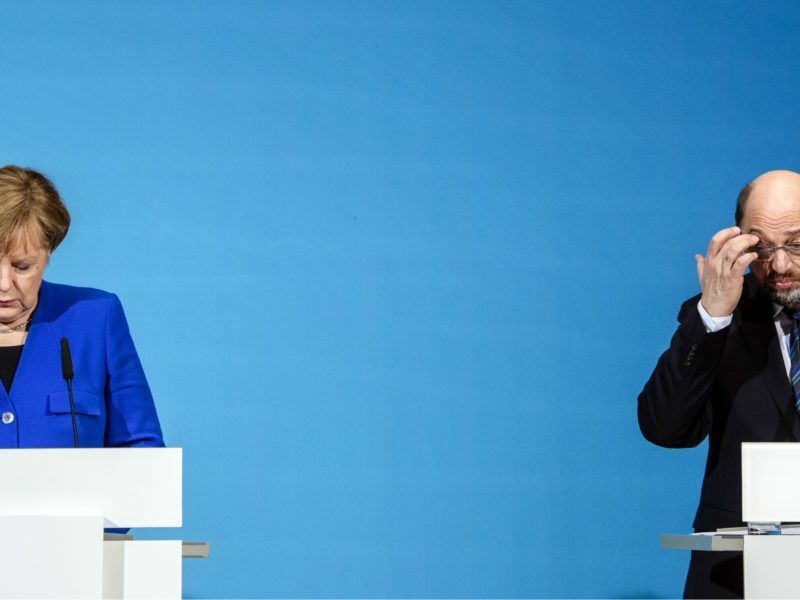 The closer-than-predicted result however underlined the SPD’s lack of enthusiasm for the coalition blueprint thrashed out earlier this month, which critics said contained too many concessions to the CDU/CSU. Germany has been stuck in political limbo since September’s inconclusive general election saw mainstream parties bleed support to the far-right AfD, which tapped into anger over Merkel’s open-door refugee policy. Stung by his party’s worst result in decades, Schulz initially vowed to go into opposition but then caved to pressure to reconsider after Merkel’s attempt at a novel tie-up with two smaller parties collapsed in November. The U-turn angered many grassroots SPD supporters, who believed some time on the opposition benches would help the 150-year-old party regain its fighting spirit. Resistance to a renewed Merkel alliance was loudest among the SPD’s left and youth wings, who complained the preliminary coalition agreement fell short of campaign pledges. SPD critics, including the party’s rising star and youth wing leader Kevin Kuehnert, argued the exploratory blueprint did not bear enough of the SPD’s hallmarks. The 28-page document that lays the basis for future government policies promises more spending on childcare and education as well as joining France in its push to overhaul the bloc. Chancellor Angela Merkel’s conservatives and the centre-left Social Democrats pledged today (12 January) to work closely with France to strengthen the euro zone, in their first substantive response to President Emmanuel Macron’s ambitious EU reform proposals. But the SPD failed to secure a tax hike for the rich or the abolition of Germany’s dual public-private health insurance system in favour of a single citizen’s insurance – two key campaign promises. Other SPD demands include scaling back temporary employment contracts and allowing family reunions for asylum seekers suffering unusual hardship. Schulz on Sunday vowed to extract more concessions in the formal coalition talks. He also pledged to resist the CSU’s demand to cap migrant arrivals at 200,000 a year and promised that any future coalition government would be put up for review after two years. “We will negotiate until the other side squeals,” the party’s parliamentary leader, Andrea Nahles, said in the most impassioned of the speeches at the congress in Bonn. Merkel, often dubbed the world’s most powerful woman, has been hamstrung on the global stage as the domestic drama has played out. Commentators say her struggles to form a new government have damaged her political standing and she is increasingly described as entering the twilight of her rule. The coalition blueprint actually includes a clause that provides for a review after two years of the next government’s progress to assess whether any changes to its mission are needed. Five days have been scheduled for exploratory talks between the CDU, CSU and SPD to negotiate the formation of a new German government. In case there is a common declaration at the end of the negotiation marathon, it nevertheless is still unclear, if the parties will agree to form a government coalition. EURACTIV Germany reports.